The sonatas and partitas for solo violin in new arrangements for guitar. Sei Solo a Violino senza Basso accompagnato is the rather unpretentious title that Johann Sebastian Bach (1685-1750) gave his collection of three Sonatas and three Partitas for solo violin. 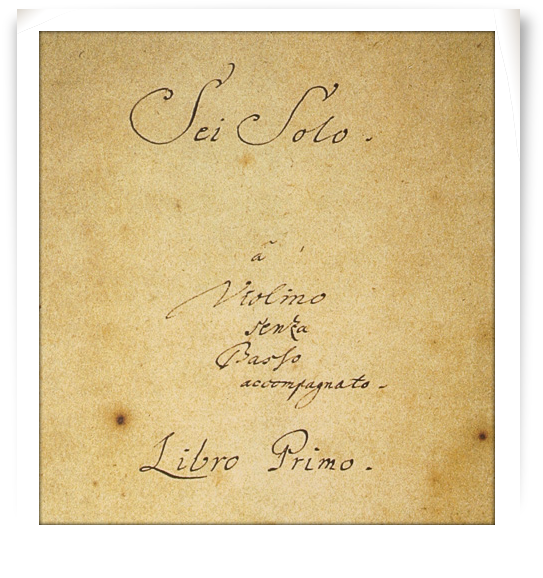 Sei Solo is Italian for “Six Solos” but also for ”You are alone”, which could refer to the fact that Johann Sebastian at the time of writing had become a widower. In any case, the Sei Solo belongs to the true masterpieces in the history of Western music. The score, beautifully fair copied by the composer himself in 1720, comprises 32 movements that make up a formidable piece of musical architecture. The glorious Ciaccona, with its 32 variations on a chord sequence, is placed strategically at the “golden section”. The six works appear in the following order: Sonata I, BWV 1001 (in G minor) – Partita I, BWV 1002 (in B minor) – Sonata II, BWV 1003 (in A minor) – Partita II, BWV 1004 (in D minor) – Sonata III, BWV 1005 (in C major) – Partita III, BWV 1006 (in E major).